To start, you'll need to setup your ventrilo client with the information given to you by the Server Admin who setup your account (You will not have an account upon joining the first time. 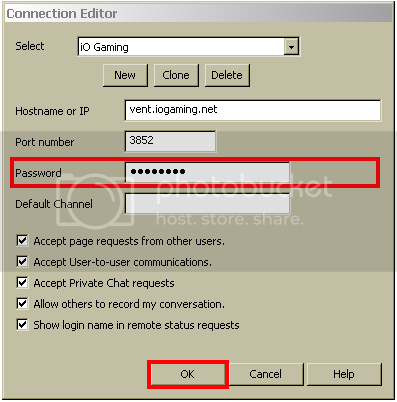 Talk to an admin upon joining vent to have an account created for you ALTHOUGH NOT NECESSARY). It is important that your "User Name" information must match the one assigned to you, otherwise you won't have registered user status. For this tutorial, we'll pretend that there's a new account named "Joseph". Let's get started! If you need any additional help setting up ventrilo or your microphone, don't hesitate to ask. Thanks!